During his stay in New York, the President will take part in several sessions and also meet state leaders. The President will address the inaugural session of the Nelson Mandela Peace Summit on Monday. He is also scheduled to take part in the dinner hosted by US President Donald Trump and the First Lady on the same day. The inaugural session of the 73rd General Assembly will take place on September 25 and President Sirisena will address the General Assembly on the same day. 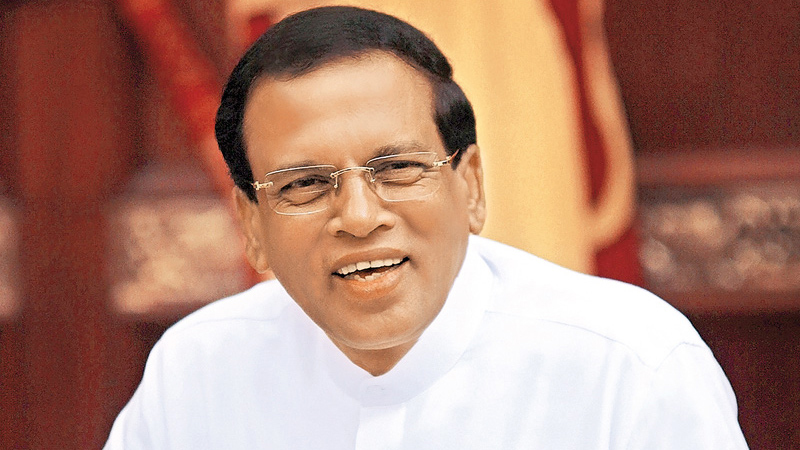 The President is expected to present a series of resolutions on behalf of Sri Lanka which includes proposals on obtaining relief from the UN and proceeding without damaging the country’s independence, national security and the dignity of the tri-forces in the implementation of the UNHRC resolutions. On September 26, 27 and 28 the President will participate in several other programmes on Tuberculosis, NCDs, and elimination of the drug menace. An agreement will also be signed to establish a development fund for Sri Lanka by the UN Development Program (UNDP) on September 26. President Sirisena will also call on the UN and Commonwealth Secretary Generals and several other state leaders.